This white Dolce & Gabbana shirt features a slight pattern and texture thanks to black dash marks throughout. Along with its folded collar, button down front and pleated button cuffs, it makes for a crisp, clean choice to pair with a favourite tie or jacket. 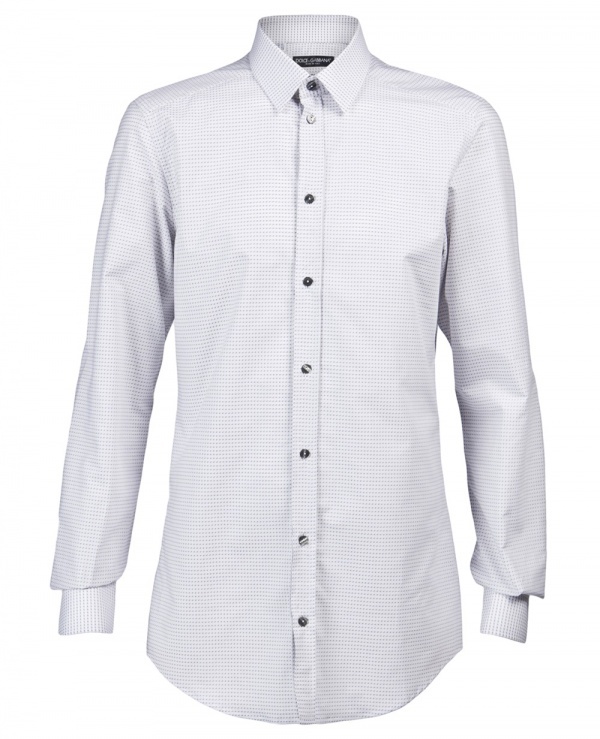 It’s hard to go wrong with a well-fitting white shirt, and this one is available online. This entry was posted in Dress Shirts, Tops and tagged Dolce Gabbana. Bookmark the permalink.